As the average consumer becomes more tech savvy and spends more of their time online, many companies are moving away from paper invitations for events. While this trend may have started due to the convenience of sending electronically, we are now at a point that going paperless has become instrumental in effectively organizing an event. 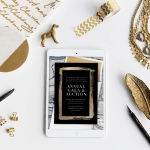 More than just a time saver, this new breed of digital invitation site offers a complex array of features that give companies the ability to manage their event in a way they never have before. 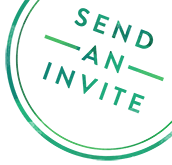 Keep scrolling for some practical reasons why your company should be sending digital invites. Instant, hassle-free communications are quickly becoming the norm. 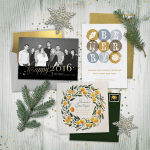 Your guests will appreciate the streamlined experience of submitting a digital RSVP. In addition, everything—from selecting a meal choice or t-shirt size to downloading an attachment or sending a message to the host—can all be done in a matter of seconds. And as the RSVPs begin to come in, you can access updates on the go directly from the app on your mobile device. Aside from your recipient’s appreciation, the modern guest experience provides another big bonus: a straightforward call to action. If you’re looking to maximize attendance for your event, getting people to commit quickly is key. By limiting the amount of additional work your recipient’s have to do (like visiting a secondary website or submitting a paper RSVP card) you’re likely to notice a higher response rate. Paperless invites allow you to have complete design control over fonts, colors, and patterns. No detail goes unnoticed, even down to the envelope liner and digital stamps. This limitless customization offers the perfect opportunity for you to integrate your company’s branding. There’s nothing more frustrating than receiving a “return to sender” invitation. Email addresses are much easier to verify than physical addresses. Certain services, like Greenvelope, will even verify each email address on your guest list—automatically. Sending reminders is vital to increased attendance. In fact, TechsyTalk recommends sending both an initial RSVP confirmation and a second reminder closer to your event date. With scheduled auto-reminders, you can eliminate the manual process, leaving you with more time during those critical weeks leading up to your event. 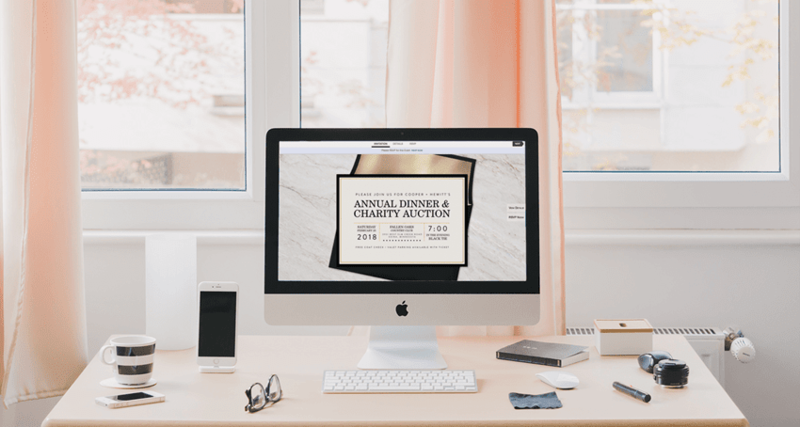 Developed with simplicity in mind, many digital invitation services offer a variety of built-in features that make managing your event easier. 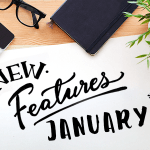 Companies can now send invitations while also securing an accurate headcount, tagging and linking guest subgroups, collecting meal preferences, and more—all in one place. You’ll find that some offerings are more robust than others. 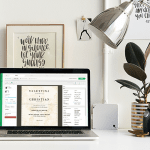 Greenvelope, for example, offers a ton of built-in tools to help you get the most out of going digital. 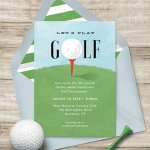 If you’re ready to get started for your next event, Greenvelope offers a full collection of corporate-inspired invitation designs that you can browse here.